Combine all ingredients except chick’n in a medium sized bowl and toss gently. Set aside. 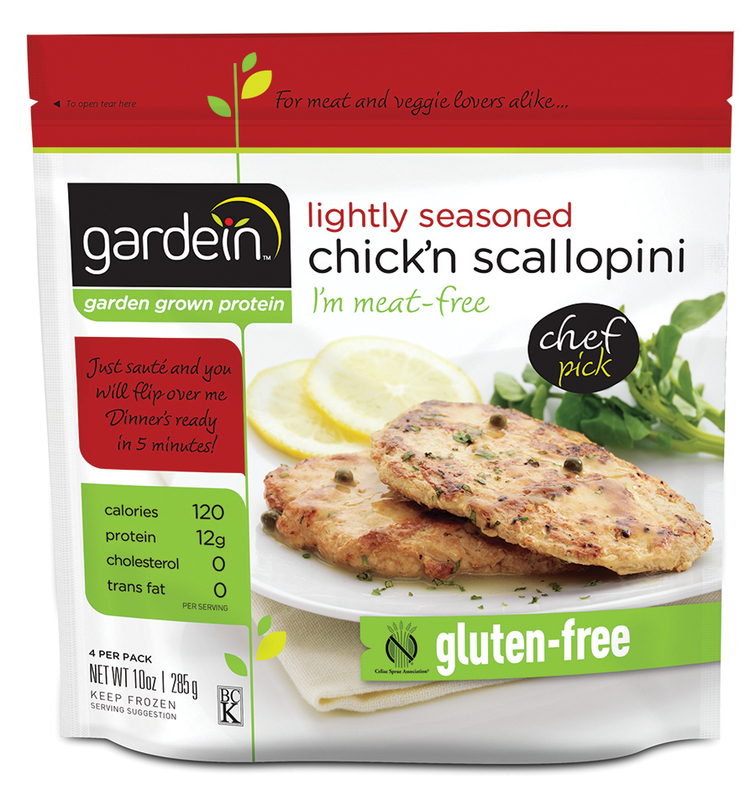 Sauté scallopini from frozen in a non stick pan over medium heat for 1 minute on each side. Add 3 tablespoons of water (per 2 pieces) cover for 2 minutes. Uncover, turn and cook for an additional minute. 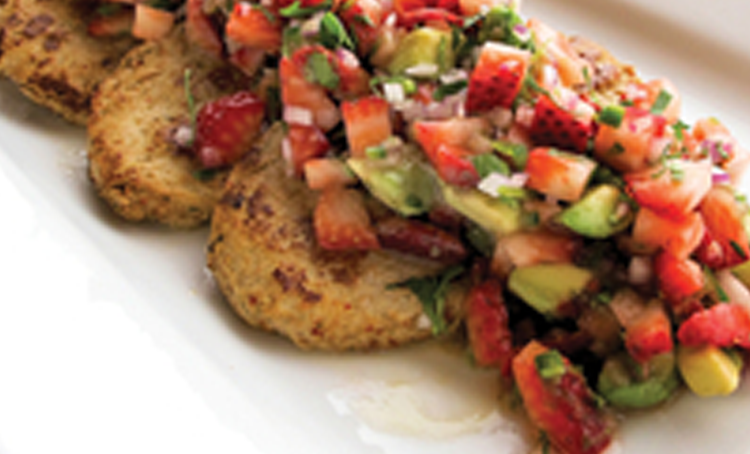 – Transfer scallopini to a serving plate and garnish with strawberry avocado salsa.